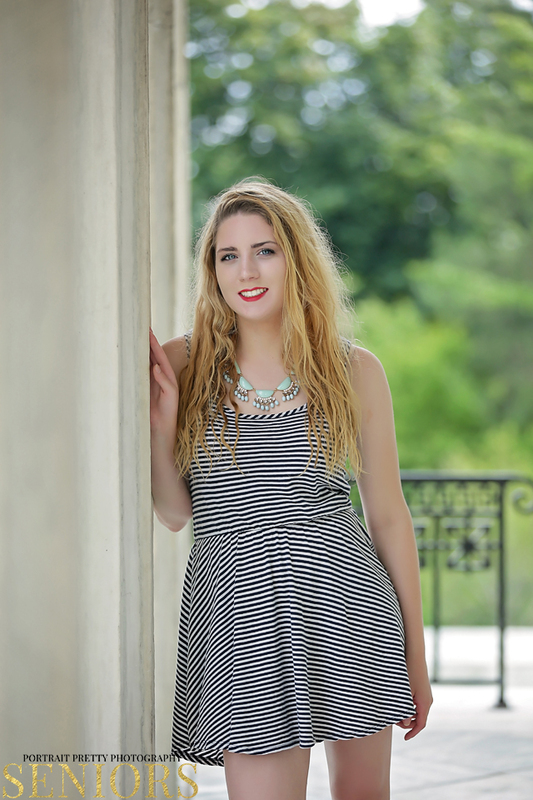 Meet Carolyn, she is a class of 2016 senior at Orchard Park High School. She was referred to my by another senior I photographed at Orchard Park High School. 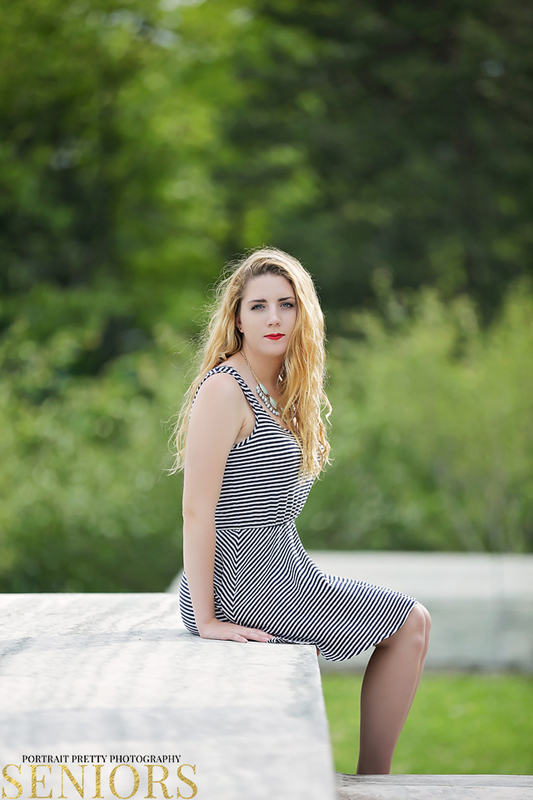 When we did her senior portraits, when first I met Carolyn, she had long gorgeous blonde wavy locks, the most beautiful crystal blue eyes you would ever see and red lipstick. I knew these pictures are going to be gorgeous. And boy was I right. Every seen every ounce of her being popped. Every image showcased her. We started the session downtown at the Buffalo History Museum. I photograph a lot there. I like the marble and it ads a little Buffalo history to the session. I pose on the stairs around the museum and then by the pillars. After the Buffalo History Museum we moved to the waterfront by the boat docks. She brought this cute light blue dress that had whales on it that she got in Saratoga Springs, NY. It had such a nautical feel, so I knew the perfect spot that would go well with the dress. The entire scene just looks amazing. After the tall golden grass scene we made one last stop by a spot I love to photograph at on the waterfront. Metal railings, yes, metal railings, they are a cool silver tone, and when she showed me her bright red shirt and black jeans I knew this would be the perfect spot for that outfit. And it was, she looks just amaaaaaazing in this scene. PIN THIS IMAGEIf you love these pictures as much as I do, book your senior portraits with me today.